What were you like when you became a new believer in Christ? What was different? How did you act? New believers in Christ are so refreshing. They’re excited, on fire, ready to embrace this new life. They’re aware of the difference between the old sinful life and the new forgiven life. They dance with joy at the freedom of forgiveness they are experiencing. They’re bold in sharing with their friends and family about faith in Christ. New believers are also very gullible. So eager to please God and lacking the experience or savvy of who and who not to listen to, they become prime pickings for false teachers who want to lure them away with extra expectations. New believers can lack the security, especially when the first major temptation comes along, that yes, they are truly saved. Discouraged they become vulnerable to anyone nearby who can tell them how they ought to be a better Christian. That’s the problem the Galatian new believers had. 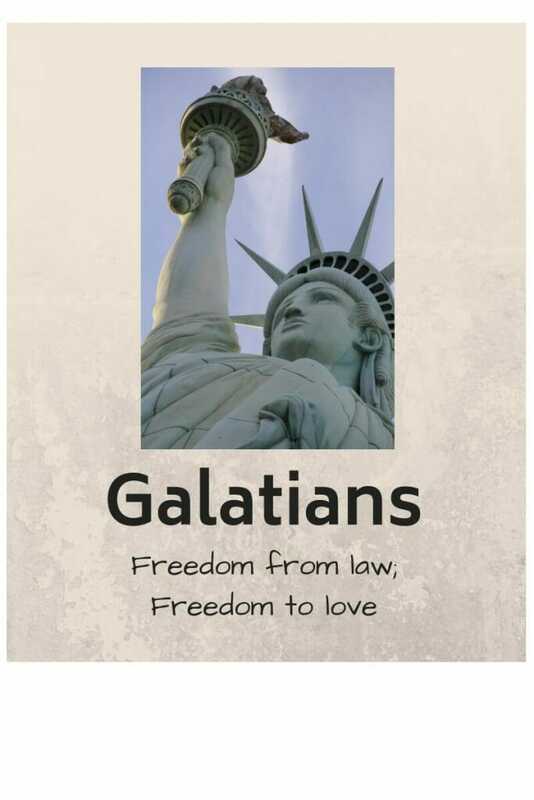 Today we’ll take a look at Galatians 3:1-23 where Paul describes how faith in Christ as a conduit to a right standing with God was God’s plan from the beginning and how faith in Christ is the only way to have a relationship with God. Have you known anyone who accepted Christ and then a few months later got swept away into a cult or different theology? What happened? Why was that person susceptible? What could have prevented it? What is the tell-tale earmark that you are a Christian? You witness the power of God through you and around you. You experience tension and opposition to your faith. Paul uses these earmarks as part of his argument – did you experience these new things because of your new belief? Or did this come as a result of following a set of laws? The answer is of course, because of your new faith in Christ. Next argument: Didn’t God put the law in place first? Shouldn’t we obey this Mosaic law that has been around for centuries? What standard did God use to judge Abraham’s righteousness? Paul deals with the basic weakness of the system of law. Who took the curse that we deserve? Why? Salvation is not based on what we do for God but our belief in what Jesus has done for us. Paul goes back to the example of Abraham and the promise God made to him. Describe a contract. Why does Paul compare a human contract to the contract God made with Abraham? Which came first – the law of Moses or the promise of Abraham? What was God’s intended purpose for the law he gave to Moses? Does the system of law work? Think back over your Christian life. Have you ever felt insecure about your salvation? Did you ever wonder whether you really were a Christian? If you did wonder that, what would be tempting to do? How does one know they are a Christian? How do you know you are still a Christian? What can you do to make yourself a “better” Christian? Is belief in Christ all there is to Christianity? Is it just that simple? What do you think? Why might she have said that? Have you encountered people who are insecure in their faith, who wonder if they are a Christian? Based on what we have learned in this chapter, how can we bolster the confidence of believers who might doubt their standing with God? Jesus took upon Himself the curse of God that you deserve. The punishment for what you’ve done wrong and failed to do right has already happened. You are forgiven by God. All you have to do is believe that Jesus is the Son of God, the One who willingly chose to die in your place. If you have accepted what Christ has done for you, there’s nothing more you can do to cause God to accept you or love you any more than He already does. Nothing else that you do will get you any closer to the Father. He already loves you lavishly! Isn’t that wonderful? Do you struggle with confrontation? How do you react when you see someone you love or respect doing something you know to the bottom of your toes is wrong? Is it hard to accept loving – or not so loving — confrontation? The fledgling church had to contend with certain Jewish Christians called Judaizers who wanted to add extra expectations to the Gospel message. They wanted new believers to be circumcised, to follow Jewish dietary laws, and to refrain from eating meat offered to false gods. They felt Paul was going soft on the new Gentile believers because he did not require the new Christians to do these practices. 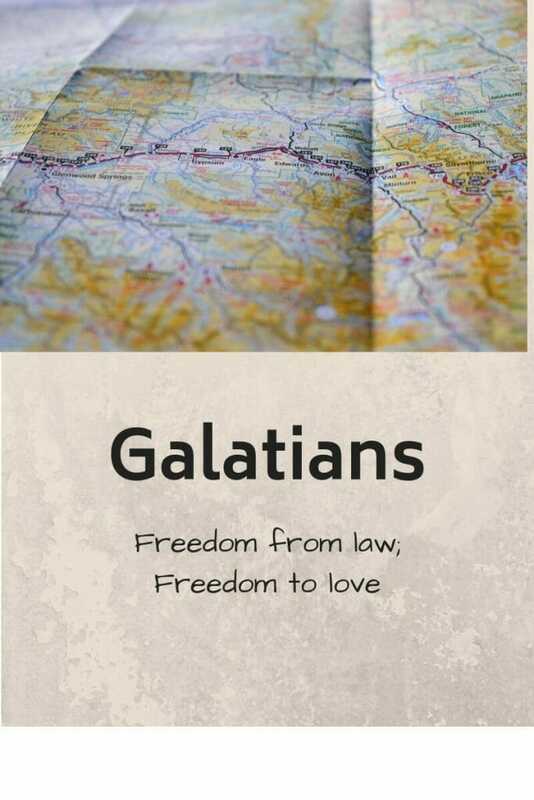 The book of Galatians deals with Paul’s response to their concerns. Why was it hard for Jews to accept the Gentiles? Why were they tempted to make little Jews out of the new Christians? The Jews had a bit of a superiority conflict. They thought the Messiah was exclusively for them. Despite Old Testament verses to the contrary (see Genesis 12:3, Isaiah 42:6 and Isaiah 66:19), many of them didn’t get that God’s plan was for all nations. It seems at first like Paul sidetracks. Why does he giving this long list of credentials? I heard a keynote speaker give a final address at a writer’s conference. She began her speech with a long list of her credentials. She’d done it all: she had published books, she’d been in the higher echelons of editing at major publishing companies, she’d launched well known authors, and she’d served as an agent. Strange way to start a plenary speech to a group of Christians. She almost seemed arrogant. But then she went into an impassioned speech about the need for Christian writers to maintain integrity, humility, perseverance, and passion. She said some very blunt things to us. She could get away with saying those things because she knew through experience what she was talking bout. We listened more carefully because of who she was and all that she had accomplished. That’s what Paul is doing in this section of Scripture. From whom did Paul receive the gospel message and his marching orders to take the gospel to the Gentiles? Why was it important for Paul to have the credentials and connections he lists? How does Paul’s life experiences give him the right to confront the Judaizers? Paul knew what it was like to be a Jew under the law. He had spent years studying the essence of the gospel message. He had the backing and understanding of key church leadership. Why did Paul think it was so necessary to go toe-to-toe over the purity of the Gospel message? Paul confronted Peter in public (Galatians 2:11-14). Was this smart? Why did Paul do this? The nature and essence of the Gospel is about as elementary as you can get. If you get this part wrong, as Paul explained in chapter 1, you might as well throw out everything. It was worth the risk. It non-negotiable, the hill Paul was willing to die on – literally. What can we learn from Paul’s methods of confrontation? Don’t gossip. Keep it “in house” with the people that matter. Be constructive. What is your purpose: to heal the body or to gain supporters for your way of thinking? Is it difficult for you to confront others? What makes it difficult for you to talk to others about their wrong behavior? How do you know when it is appropriate to confront and whether you are the one to do it? What is your motive in confrontation? How fundamentally important is the issue? Do you have the credibility to approach the person? If you don’t have the credibility or the issue, in the scheme of things, is not paramount to life or matters of eternity, let it go. Don’t gossip, don’t fret over it. Pray about it and leave it in God’s hands. If God perceives that a person’s opinions or attitudes need to be changed, He will deal with the person (see Philippians 3:15). If however, you’ve prayed and searched your heart and you feel strongly that you are the one who must speak publicly in defense of what the Bible teaches, then move forward in courage. Take the risk. Like Paul, be direct, deal directly with those at fault, lace it with kindness, and present what the Bible, not merely your own opinion. Realize that you may not get the results that you want. Paul had to contend with Judaizers throughout his ministry. But you will have done the right thing in showing loving-kindness to the person and you will have been faithful for standing up for the gospel of Christ.